Sorting out teams for the older age groups becomes extremely difficult for many organizations. This process can make or break your in-house season: There is nothing worse than losing 5-0 every single week because your team was assembled using false player rankings. 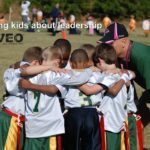 While there is no prefect system to help ensure that your in-house teams are evenly matched, here is a way that may level the playing field so that coaches and players may have a more positive experience. Set up a player draft using a board filled with all the eligible player names and their player rankings. On a separate board, list the eight team names with coaches’ names temporarily attached to them. Tell the coaches they are responsible to pick their team, but this may or may not be the team they coach after the draft is completed. Remove all the head coaches’ players from the board and put them aside. Have each coach take their first pick, then second pick and so on, until all the players are taken except the coaches’ kids. Put the eight team names on separate pieces of paper and put them in a hat. Have each coach pull out a team, and this is the team they will be coaching. You have now eliminated the false player rating factor all together. 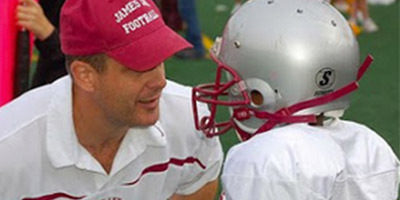 You must now move the head coaches’ kids under the team they are coaching. If they already happen to be there, you do not have to do anything with that team. If there is an assistant coach who wants to be with a certain head coach, you can move that player under that team but ONLY with a mutually agreed upon player exchange. I suggest restricting each team to one requested assistant, to help prevent the loading of the best players on one team with coaches’ players. I recommend this process for the older age group (U9 & up). In the end, there is no perfect science to building equally balanced teams, but with this approach, at least the coaches feel there was a valid attempt to make the teams competitive. Sometimes you are lucky,blog and sometimes you are unlucky! Tyler Isaacson is a club president, travel coach, recreation coach, youth player, college player and dad. He has 30 years of playing and coaching experience. He is the founder of youthsoccer101.com a leader in on-line coaching education used by 50,000 coaches.